Ruari Paton scored Gala FR's winning goal (stock image). Gala Fairydean Rovers came from a goal behind against Edusport Academy at Galabank on Saturday to propel themselves up to seventh in the Geosonic Lowland League, thanks to goals from Reece Donaldson and Ruari Paton. 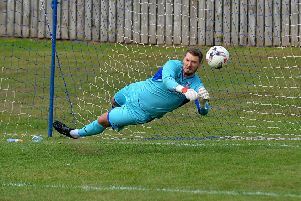 The result could have been far more comfortable for Dean Shanks’ men had it not been for an impressive goalkeeping display from Matt Kerr in the Edu goal. Craig O’Reilly was set into the box well with just four minutes gone, but Kerr saved well to his right before denying Paton on the rebound, although the flag did eventually go up against the Hibs loanee. The dynamic duo was again at it seven minutes later, with good work from O’Reilly finding Paton in the box, but his tame strike was straight at Kerr. The home side took the lead after 34 minutes, through Hugo Catherin. The winger picked up the ball 30 yards out and cut inside before releasing a rocket beyond Patrick Martin from the edge of the box. GFR fought back immediately and Kerr pulled out two fantastic stops to deny Cunningham and Patterson in quick succession as the visitors laid siege to his goal. The pressure finally told with a minute to go before half time. Sandy Cunningham’s corner was cleared to the back post and Tommy Patterson’s cross was headed home by Reece Donaldson from close range, for his first goal in Gala colours. 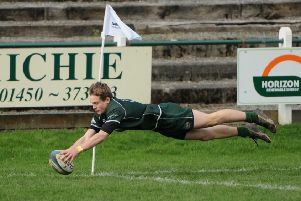 Ruari Paton put his side ahead 12 minutes after the interval. Sandy Cunningham drove powerfully down the channel into the box and picked out Paton well. He made his placed finish beyond Kerr look easy. They didn’t let up and, 10 minutes later, Paton forced yet another good save from Kerr, after Patrick Martin had saved well to deny Matthew Flynn from close range at the other end in the final real action of the match. Gala Fairydean Rovers now have a bit of time to prepare for league leaders East Kilbride’s visit to Netherdale on January 26, in a game where they will hope to gain a measure of revenge for their Scottish Cup defeat earlier in the season. Gala Fairydean Rovers: Martin, Stevenson, Main, Donaldson, Ainslie, Smith (c), Cunningham, Watson, Paton (Addison 91), O’Reilly, Paterson.